Whose land is it anyway? 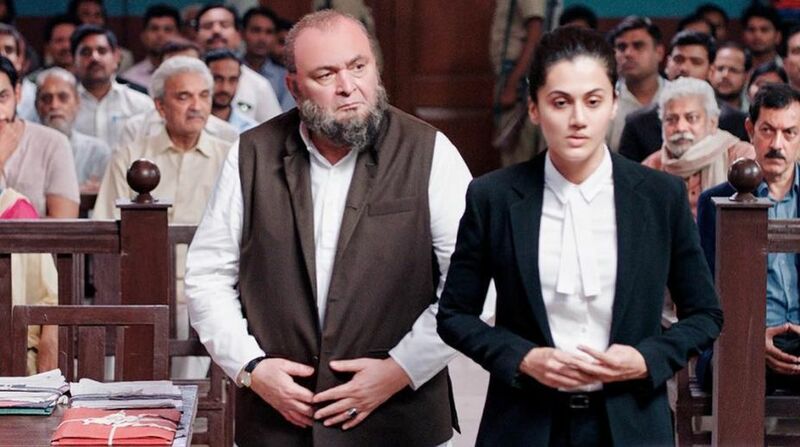 At a time when the Indian Muslim finds himself isolated like never before, Anubhav Sinha’s Mulk serves as a jolting reminder of how far into the darkest recesses of distrust and animosity, terrorism has taken the blame game. 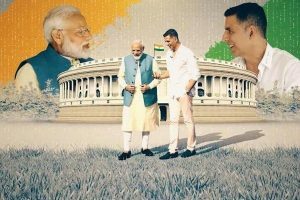 First of all, it is very hard to believe that Sinha whose earlier credits include fluff stuff like Tum Bin and Ra.One, has actually created this modern political masterpiece which attempts very successfully to humanize a community that has been demonized by some negative elements. And yet Mulk doesn’t take sides, doesn’t make the Indian Muslim community a portrait of injured innocence. What it does do-and full-marks to Anubhav Sinha for writing a script that doesn’t bend backwards to humanize the community under siege-is to lay bare the layers of deception that mars a truly fruitful dialogue between sane rational elements in both the Hindu and Muslim community. When the son(Prateik Babbar) from a Muslim family in the dense bylanes of Varanasi decides to became a so-called jihadi, the ramifications on his family are deep and wounding. It is in portraying the family’s anguish that Anubhav emerges with cinema that’s masterly and timely. There comes a time in the taut narrative when the patriarch of the family is asked to choose between home and safety. Rishi Kapoor making that resolute choice reminded me of Balraj Sahni in Garam Hawa. Kapoor has shaped up into that rare actor who can do anything effortlessly. His portrayal of Murad Ali Mohammad is clenched and compelling. He brings to the character an empathy that never serenades selfpity. But my favourite performances in the film are by Manoj Pahwa as Rishi Kapoor’s hounded brother and Rajat Kapoor as a Muslim anti-terror police officer who has turned against his own community to cleanse its reputation. Pahwa as the terror-accused father of a jihadi, makes your heart melt with compassion. In the best-written sequence of the film he tells his brother why he always tried to be a good sibling, and never failed to fall short. Also brilliant is the ever-capable Kumud Mishra as the judge presiding over a case that in may ways, changes the way we look at terror-accused families, not to mention court proceedings in our films. Ashutosh Rana and Tapsee Pannu are absolutely brilliant as the prosecutor and defence lawyer.And when Tapase takes over the climactic courtroom finale questioning why our society has polarized into “them” and “us”, she proves herself one of the strongest contemporary female actors today. Some moments in this thought-process reforming drama made me break into goosebumps.When the terrorist-son(Prateik Babbar)’s body is brought home , we hear sounds of mothered anguish and panic,as the camera moves throught the family home prowling in pursuit of answers to questions that lie too deep for tears. I am not surprised that Evan Mulligan’s camera has captured the splintered cultural conundrum of Varanasi like never before. Mulk is a work that won’t settle for the status quo. It forces us to think and reconsider our value system at a time when cows are valued more than human lives. Anubhav Sinha prefers to say “boo” instead of “moo”.